Working with date and time is a very common task in general. 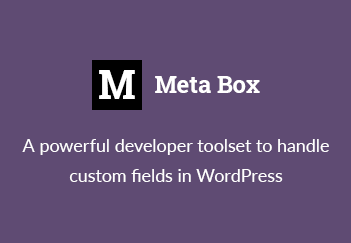 In WordPress, you meet them when working with cron, fetching latest tweet, scheduling posts or delaying the RSS. Although PHP provides lots of date/time functions, WordPress has its own ones. In this post, I’m going to share some experience that I’ve had while working with date and time in WordPress. The first thing you have to remember when working with date/time is timezone. If you miss this, your scheduled posts may be published in wrong time (like if I want to publish this post tomorrow morning at 7 AM and I set it for US time only, so I’ll see it at 6 PM! ), your cron may not run as you expected, your email notifications will be sent late, etc. That’s totally a pain and very hard to debug because you have to wait to that time just to see how it happens! time() is used to get current time in Unix timestamp format. WordPress has a wrapper function that handles both GMT time and local time (with timezone settings): current_time(). This function returns the blog’s current local time in one of two formats, either MySQL’s timestamp data type format (i.e. YYYY-MM-DD HH:MM:SS) or the Unix timestamp format (i.e. epoch). The optional secondary parameter can be used to retrieve GMT time instead of the blog’s local time. So, if your code use time(), change it to current_time( 'timestamp', 1 ), that will returns the GMT time. To get the local time, use current_time( 'timestamp' ). That’s all, easy to change and that makes more sense. WordPress let us change the default date and time format in Settings -> General. We should use these formats in our code instead of making a new format for a function like date(), unless you have your own reasons. There’re a lot of things we can do with date and time in PHP, just note that we should use them in the WordPress way! Thanks Rilwis, for this informative post. Where is date_i18n() !? You have to talk about this function. I agree Julio. date_i18n() function is very important to localize the date for different languages. If we use just date() function, we see just English date strings. This has helped me so much I was looking all day on how to do this. I don’t really know what i changed but it finally changed it. I just have to check later on if it will change to next day at 12am. Great tutorial. It is always better to use wordpress’ built-in functions. Hello, after reading this post I think everybody knows about it but you have proven that you tackled it in a noble fashion. This is the kind of stuff everybody wants to read. It has certainly cleared lots of things up for me. Thanks a lot.